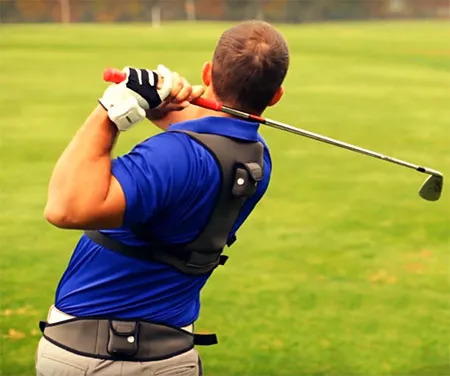 K-VEST uses 3 wireless sensors, located on your hips, shoulders, and golf glove to more effectively diagnose the true cause of accuracy and distance issues. Once a swing has been captured, a certified professional can analyze and communicate your swing efficiency or "power signature" to you. In other words, the system analyzes the specific areas of your address, backswing or downswing that are holding you back. K-VEST has emerged as the industry leader in golf performance training, contributing to the evolution of biofeedback to improve motor skill development. 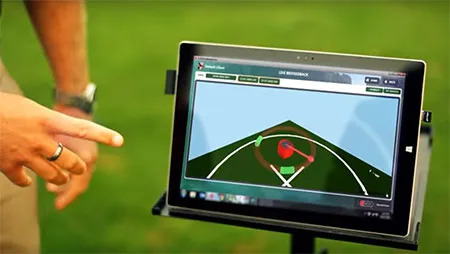 K-VEST's visual and auditory biofeedback provides golfers with immediate analysis of the accuracy of their movements. For example, when a player is in the desired position, they will see their 3D animation turn green while music plays in the background. As soon as they move out of the desired settings, the animation will turn red and the music will stop, providing the golfer with instant, real-time feedback. This feature accelerates motor learning and virtually eliminates communication barriers between the professional and the golfer. How does K-VEST help you? The best part of the K-VEST experience is that our professional staff can provide real-time visual and auditory feedback to reinforce correct movements. This feedback accelerates the learning process to get you playing better-in less time. This process builds repeatable skills and lasting results.